How Do You Like Your Take Out? as aimed at getting small local delivery restaurants the attention they deserve. It used the signage from small local delivery restaurants in its promotional pieces; thereby creating exposure for restaurants that would otherwise remain in the shadows of well-known establishments. This had never been done before. It’s easy to understand the secret behind the Woowa Bros success when you learn about their CEO Kim Bongjin’s creativity and discipline driven values and how these translate into their start-up culture. From these values have stemmed interesting design and catchy marketing ideas. Think brand identification items like post-its that say “When is mom’s birthday?” to pens with the tagline, “I will be used one day”. The team also created thrilling promo videos and a series of restaurant intro promotional videos that allow app users to discover local restaurants. The feature segments showcased local delivery restaurants that otherwise would never get this kind of exposure to potential customers. 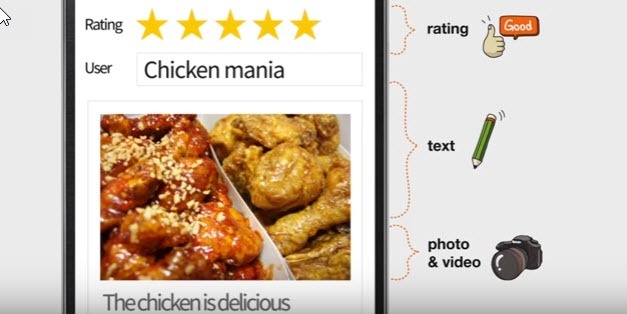 Once exposed to a new establishment, the rating and reviews functionality allowed users to make educated take out choices based on insights shared from others. Their radio ads announced first place winners for best-rated restaurant in a specific category – taking the focus off promoting the app and helping the user get the most benefit from their service. The Woowa Brothers marketing strategy effectively helped them double their app downloads in one year to 20 million downloads. It also helped local restaurants increase their visibility and sales. The result: happy restaurant owners, satisfied consumers and a good growth-related problem to solve. With this new problem came the need for more adaptability and new business needs centered around reliable data to drive business decisions. The start-up found itself needing a user friendly approach to consistently manage tasks. It also found itself needing streamlined management, standardization, and a system and processes that could scale with an ever evolving and growing business. Woowa Brothers sought out expert advice from leaders with a proven track record for I.T. Solutions in the industry. Running live with SAP S/4HANA has allowed them to simplify and manage their expanding business in real-time processing over 6.3 million transactions automatically with zero errors in the first seven months after implementation. With mobile app usage on the continued rise and the need to eat definitely here to stay, Woowa Brothers continues to need an ever expanding and adapting I.T. infrastructure. One that can support the rewards it reaps from a viable business idea and well of constantly evolving marketing ideas. The end result of running live with SAP S/4HANA: getting more good food to more good people more effectively. The byproduct: more growth potential for restaurant owners and happy consumers. Rising strong has never been so satiating. You can read more about SAP S/4HANA and the Woowa Brothers’ success in this SAP Business Transformation Study. Get more information on how SAP is helping SME’s grow their business. Follow me on Twitter @SuzyKim or join me on LinkedIn.